The Inter-Agency Committee on the Celebration of Month of Overseas Filipinos (MOF) chaired and co-chaired by the Philippine Migrants Rights Watch and the Commission on Filipinos Overseas, respectively, held its third Regional Forum on Migration at Ortega Gym, San Fernando City, La Union on November 29, 2013. The Forum was sponsored by CBCP-ECMI, NCCA, La Union Inter-Agency Council for Migrants Concern (LUIMCO) and Diocesan Ministry for the Pastoral Care of Migrants and their Families of La Union (DDMI). With a theme “BALIK PINAS: Empowering Returning Overseas Filipinos and their Families”, the forum aims to empower returning overseas Filipinos and their families by way of introducing them to various initiatives offered by the government as well as civil society groups so that they can fully reintegrate, make use of their learned skills and experiences or even invest some of their resources for nation building. The forum was participated by 200 representatives from the government, LGUs, civil society organizations, academe, overseas Filipinos and their families, and other stakeholders in the migration process, particularly from Ilocos Region. Hon. Pablo C. Ortega, Mayor of San Fernando City, La Union gave the welcome remarks. He highlighted the significant contributions of the OFs’ remittances to the economy, especially in the province of La Union. As a continuing recognition to the OFs sacrifices and contributions to the country, he suggested that LGUs should create programs that cater to them. He said that the city of San Fernando, supported by the Regional Statistical Coordinating Committee (RSCC), conducted a Barangay Information System survey which included data generation on migrant workers/OFW. The data will help them to have a focused planning intervention for specific groups of their inhabitants. Rev. Fr. Edwin D. Corros, CS, CBCP-ECMI Executive Secretary and Vice President of the PMRW gave an overview of the MOF and the Regional Forum initiative by the IAC. 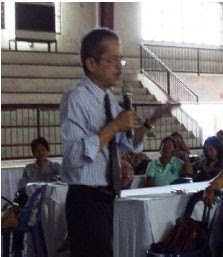 He said that from the perspective of the Church, OFs are perceived as more missionaries in witnessing the Catholic faith than the very Filipino missionaries assigned by various religious congregations overseas as they are the ones who directly witness the faith to others, not only in non-traditional Catholic countries, but even in countries where the practice of Christian religion is severely restricted. Rev. Fr. Leo C. Nedic, Chancellor, Diocese of San Fernando, La Union, emphasized the similarities of the Filipino migrants and the Israelites in the Old Testament when they were led by Moses to the Promised Land, exiled in Babylonia and went back to Jerusalem. He said that Filipino migrants always find their way to return home. He also said that with the help of the government and church, this can be made easy on their part. Mr. Jeffrey Cortazar of the National Reintegration Center for OFWs discussed the government’s Reintegration Program for OFWs. He said that their programs does not ask for OFWs to return home now but to offer them choices where they can optimize their gains from overseas employment. He said that the preparation for reintegration should start even before the OFW leaves for overseas employment, hence the PDOS program. These programs and seminars for OFs should have components of entrepreneurship and that the implementation of programs should be multi-sectoral in concern. Other programs of NRCO also include Formation of Investors and Entrepreneurs, Creation of Livelihood and Enterprises, Local Employment Facilitation and Support Services. Ms. Luzviminda G. Soriano Deputy Director of the Bangko Sentral ng Pilipinas – La Union discussed the productive uses of remittances and financial literacy for OFs. She said that since OF remittances play a major role in economic growth, financial learning campaigns would help channel remittances to more productive activities. The BSP will remain committed to its advocacy to emphasize the importance of saving and introduce alternative opportunities for OF remittances. One of their upcoming projects is a modified PDOS for families of OFs since the earnings and wages of OFs are used by the family beneficiaries in the Philippines. Ms. Ma. Victoria C. Magkalas of the Bureau of Micro Small and Medium Enterprise Development (BMSMED), Department of Trade and Industry shared entrepreneurship and investment opportunities in La Union for OFs. Among the products and probable business that they can venture are the following: chichacorn, loomweaving, home furnishings and fisheries of bangus or milk fish. She showcased DTI-BMSMED’s free briefing sessions for training courses and livelihood skills program which aims to improve the quality and productivity of booming micro small and medium enterprises. She said that hopefully, the DTI will have to expand this program in all regions. Ms. Lily Grace N. Orcino of the National Economic Development Authority discussed the goals, development policies and strategic programs and projects for the Regional Development Plan for Region 1. 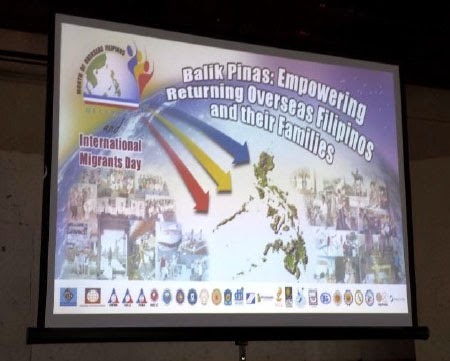 She said that returning migrants and families of OFs can complement their local communities by being one and among the growth drivers of their LGUs, through tourism and agribusiness which will help generate more jobs, income, food and security. Mr. Gerardo Rimorin, OIC, Program & Services Division of Overseas Workers Welfare Administration – Region 1 discussed their Return and Reintegration Assistance Program. He said that the 2B Reintegration Program or the 2-Billion Reintegration Fund for enterprise development is a loan facility in cooperation with the Land Bank of the Philippines. An OWWA member could avail of the loan program amounting to P 300,000.00 to P 2 million provided that they are eligible borrowers. He also informed the audience that as of 2013, OWWA has a number of 18 migrant desks and 18 OFW circles in the province of La Union where they can seek for assistance of the 2B Reintegration Program. During the open forum one of the proposals suggested and which then later approved by the LUIMCO is the creation of a Technical Working Group (TWG) to be integrated to its existing Committee on Reintegration. Members of this TWG are as follows; CBCP-ECMI, DDMI, NRCO, BSP, DTI, NEDA, OWWA, PESO, PSWDO, Bannuar Ti La Union, Balabal, Coalition of OFW, Kanlungan. The TWG is tasked to brainstorm and formulate recommendations on the reintegration needs and concerns of OFW Families and Returnees in the Province of La Union. The TWG recommendations will be forwarded to LUIMCO for final deliberations and approval during its first regular meeting in the year 2014. Afterwhich the LUIMCO will endorse it for support to the concerned government line agencies and to the Provincial Government through the Committee on Labor and Employment and Committee on Trade Commerce and Industry. The government should provide simpler requirements for those distressed migrants and OFs who would want to have financial grants when they return home. The government should have more flexible and easy-access programs for loans and cash grants, especially to returning migrants and OFWs (documented and undocumented). The government should have more programs in addressing distressed OFWs, and LGUs should support micro small and medium enterprises. Rev. Fr. Edwin D. Corros, CS, provided the synthesis of the Forum. He said that aside from the government, the church is also doing a lot of partnerships and shared interests for the welfare of the migrants. He emphasized that everyone should unite in addressing issues and concerns of migration regardless of their political organizations. 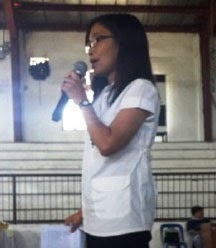 Ms. Charito Dator, OIC, Public Employment Service Office, gave the closing remarks. She said that the Forum has inspired the participants and organizations to step up and work together with the stakeholders to boost support to OFs and their families. 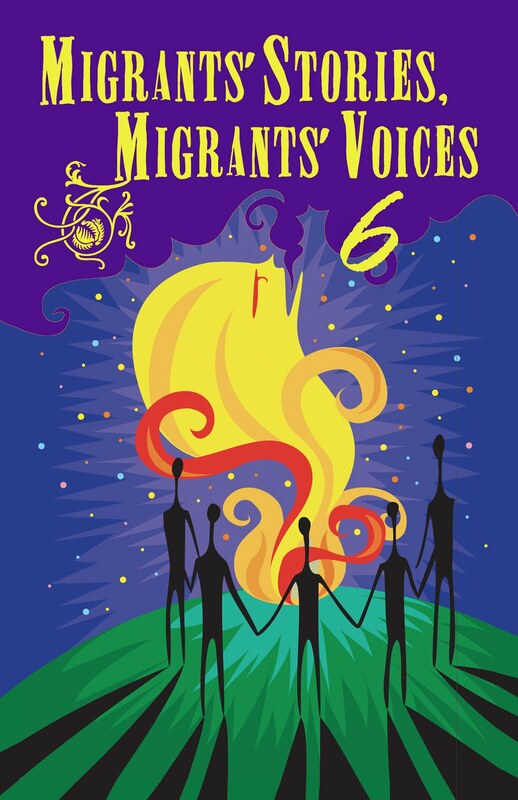 The strengthening of cooperation and coordination of advocates of migrants is indeed important and necessary especially in the local level of the community. 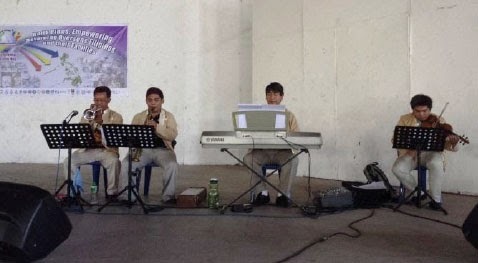 During lunch break and after the forum, the Music of the Heart serenaded the audience with songs depicting the rich and vibrant culture of Ilocos Region. The cultural show was sponsored by the National Commission for Culture and the Arts. Mr. Edmund H. Ruga of CBCP-ECMI hosted the event. (A report by the Commission on Filipinos Overseas - CFO).